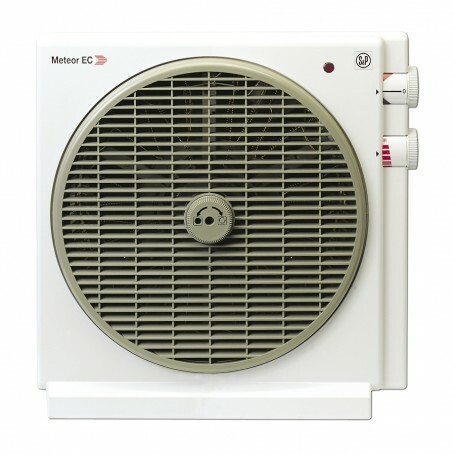 Climatiser that provides cool air in the summer and heating in the winter. -3 ‘cool’ air speeds and 1 warm air setting. -The grille has two operating conditions: stationary and continuous rotation at 360º for improved air distribution. -When the heating function is being used, a sensor included in the fan maintains air output at a constant temperature (approx. 40°C). Heating and cooling selector control. Regulator control for the difussion grille. Heating function: air output at a constant temperature.